a. Anyone can elaborate on this form/use/etc. b. Georgia Pacific is now Bluelinx Co. (just to verify as a current NYA consignee/customer). a. Ex-Western Suffolk Produce - Potato House View N I'm trying to verify this was that industry. I'm 90%+ it is, but..
3. 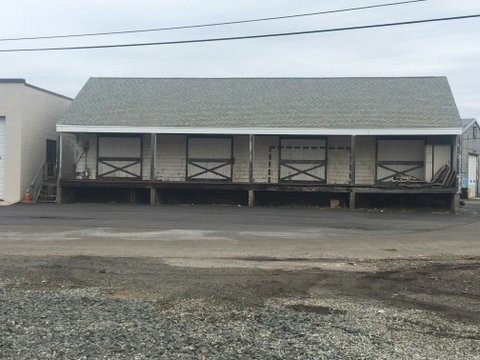 Any photos of the Lumber ops south of the main at ex-Georgia Pacific, now Bluelinx Co.? Plate markings indicate whether a car's extreme outside dimensions falls within a standard cross-section - a useful thing to know when restricted clearances are involved. Standard car cross-section drawings, or plates, are designated Plates B, C, E, and F. If a car's dimensions are entirely within Plate B (the smallest), no marking is shown. For cars fitting within Plate C, E, or F, a square with the appropriate marking is shown. 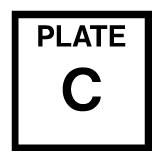 A car whose dimensions exceed a given plate will display a circle marked, to use a common example, EXCEEDS PLATE C.
Anyone have photos of freight on Long Island with Plate C markings? Thanks.